9pm Sam Neufeld, 10pm Benje Daneman, 11pm Mike Irwin. Sam Neufeld – Trumpet, Albert Baliwas – alto saxophone, Devin Starks – bass. Sam Neufeld has performed at notable festivals/venues such as the Rex’s Jazz Club, The Toronto Jazz Festival, The Montreal Jazz Festival, and The Jazz Standard in New York and The Monterey Jazz Festival. 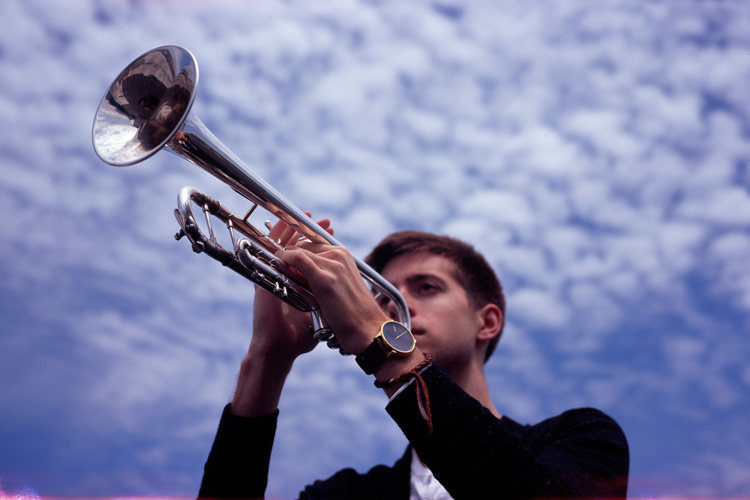 An recent graduate of the NewSchool Jazz and Contemporary music program he will present new music for his trio. Benje Daneman – Trumpet, Rob Clearfield – Piano, Sam Weber – Bass, Austin Walker – Drums and Ashley Daneman – Voice. Benje Daneman’s strong and diverse performance history includes touring with Doc Severinsen and his Big Band, performing with the world renowned Jose Limon Dance Ensemble, recording for Grammy nominated album “Elevation” (HMI Big Band), in addition to recent tours with his own ensemble at nationally renowned clubs such as Dakota Jazz Club (Minneapolis, MN) and Cezanne (Houston, TX). Mike Irwin – Trumpet, Max Johnson – Bass, Kenny Wollesen – Drums. 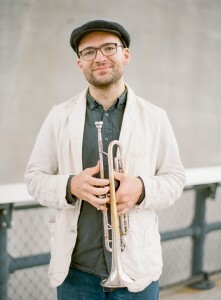 Trumpeter and composer Michael Irwin grew up in New York City. Inspired by the sounds he heard throughout his youth, he studied Jazz at the Conservatory of Music at SUNY Purchase where he was the student of trumpet legend Jon Faddis. Michael has contributed to albums by The Chieftains, Vampire Weekend, Brazilian Girls, The Budos Band, and TV on the Radio. A presence on the vibrant New York Jazz and new music scene, he has played in ensembles led by Kenny Wollesen, Federico Ughi, David White, and others. He also leads the Highline Jazz Quartet, a group exploring the American songbook and jazz canon, as well as The Brooklyn Bears, a trio that plays original and improvised compositions. Michael’s musical interests have led to fruitful collaborations and international tours with singer/ songwriters such as Elvis Perkins and Jocie Adams, and with The Walkmen, The Low Anthem, Arc Iris, and The Woes. Michael loves to teach. 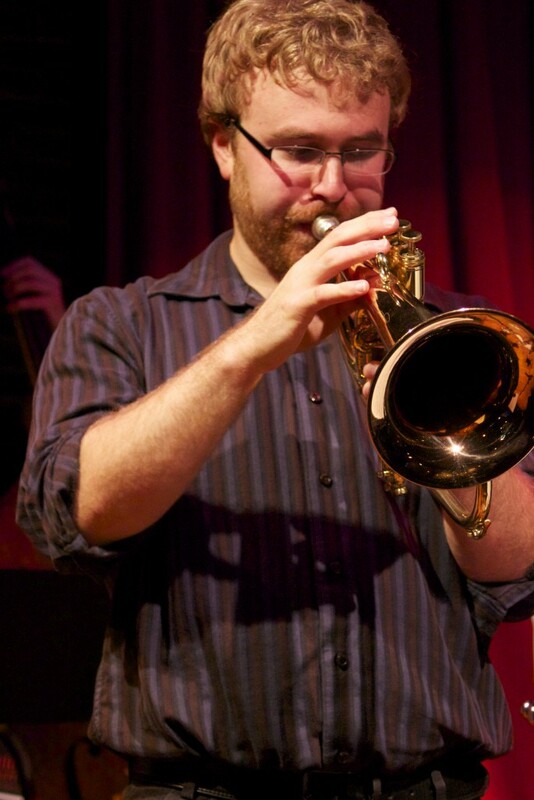 His teaching includes jazz and improvisation workshops in Talkeetna, Alaska through a grant from Chamber Music America.